You might have thought the golem was Czech but Poland has a golem of its own. It turns out that the earliest version of this Jewish legend dates back to 16th-century Poland, which at that time was a real land of golems. Now a new animation brings this gory tale to children. Perpetuated in horror films and scary books, the Jewish legend of the golem is most often associated with Prague as the birthplace and setting for the story of the famous clay monster. However, as only a few know, the earliest version of this legend goes back to a small town, Chełm, in Eastern Poland. It was here, in the 16th century, that a local rabbi known as Eliyahu Ba'al Shem of Chełm brought to life the first of the golems. According to the legend, rabbi Eliayahu, an authentic figure and a disciple of the famous Kabbalah teacher Solomon Luria, used all of his arcane knowledge to animate the humanoid figure which, however, very soon became a threat to the local community and the whole world. Now, this story has been turned into a short animation for children by the Polish collective Odrobina Kultury. 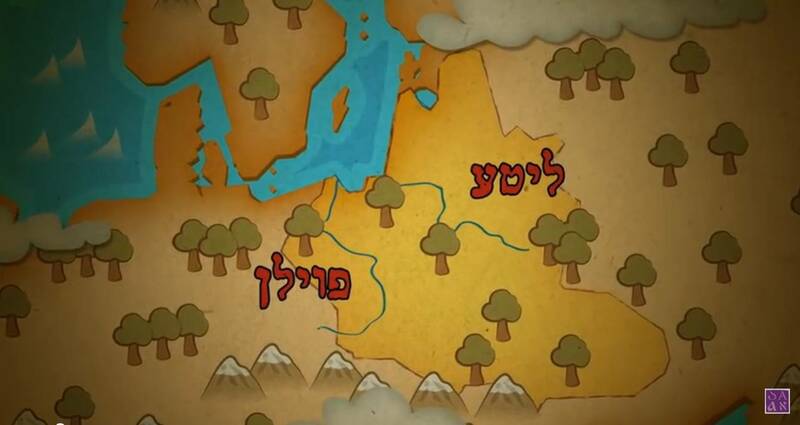 The film titled The Golem of Rabbi Elijah – The Legend of the Golem of Chelm comes in four language versions (English, Polish, Hebrew and Yiddish) and is available on YouTube. The Golem of Rabbi Elijah was written and directed by Marcin Koźliński and Martyna Majewska. The film is part of Odrobina Kultury's project called The Four Directions of Fairy Tales – Multicultural Mosaic of Tales and Legends (Cztery Strony Bajek) which includes a series of film adaptations of fairy-tales and legends of national and ethnic minorities living in Poland. So far the team has produced eight films based on original folk tales from Africa (the Serer tribe), Georgia, Ukraine, and Vietnam, as well as ones based on Jewish, Roma and Karaite folklore. All films are available on the website of the project and the project's YouTube channel (here).